Mesa Prieta through education of the local community and recording what may be well over 100,000 rock images on the mesa. Volunteers are trained to work in teams of three or four recording petroglyphs to achieve our goal of recording all the petroglyphs on Mesa Prieta. Teams collect a variety of data which are entered into a multi-level relational data base: locational, photographic, drawn graphic, metric, classification, directional and descriptive. Survey teams work in advance of the recording teams to determine areas of petroglyph density as well as the difficulty of access to and within recording areas. Currently about thirty-five recording and survey volunteers work on Mesa Prieta. Mesa Prieta Petroglyph Project holds petroglyph recorder training classes based on attrition and need for new recorders and surveyors. Trainings, when held, are annually in the spring based on the needs of the Project. Volunteers are selected for training based on dedication to the Project, intent to become proficient in all aspects of rock image recording and ability to hike in extremely steep, rough terrain for up to a mile to access recording areas. 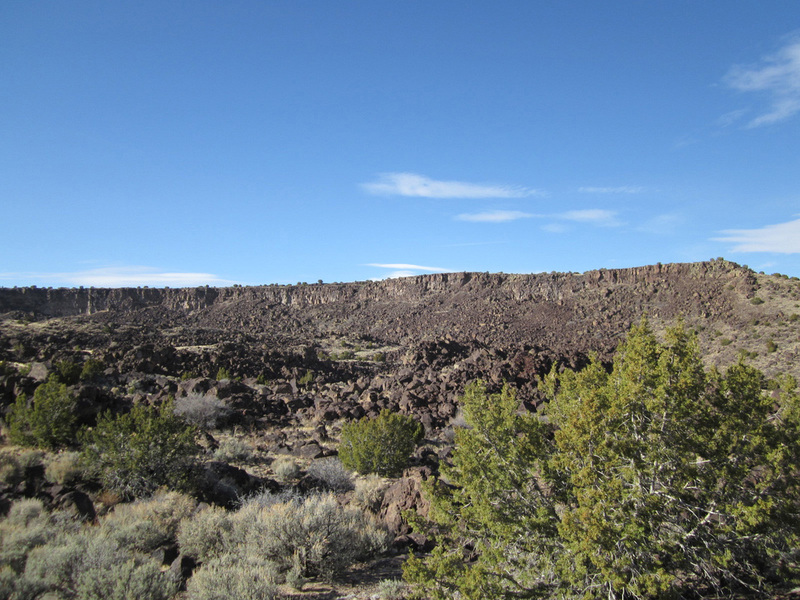 Volunteers are asked to give a minimum commitment of one year to the project and to work at least one day a month on the mesa, weather permitting. Each training candidate is requested to accompany a recording team into the field prior to the training to observe the work the teams do, what we record, to experience the terrain and the distance required to walk to recording areas and to appreciate the commitment to MPPP. 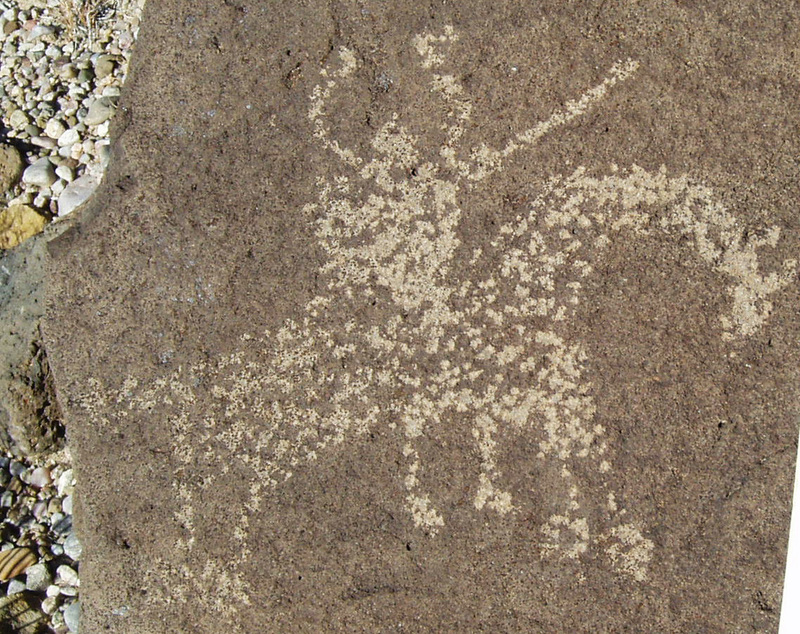 We know that recording work is not for everyone; for various reasons, about 30% of those who accompany a team into the field decide against training as a petroglyph recorder. In addition to the introductory day, petroglyph recorder training consists of a full day of classroom training and four days recording in the field with a team with a project mentor for a total of six days of training; follow-up is provided as needed. Training includes learning to use the project equipment including a GPS and compass, taking metric measurements, drawing and categorization of images, photography, archaeological survey and learning to work as a team. Training to become a surveyor includes an introductory day on the mesa, the full day classroom training and two field days with a project mentor for a total of four days of training. Training includes archaeological survey, learning to use a GPS and compass, photography, and learning to work as a team. Neat, accurate and complete recording work is emphasized. The recording MPPP conducts on the mesa is unlikely to ever be repeated and the documentation we provide becomes the permanent archival record. The quality of our data relies on how recorders document in the field. Having a high-clearance vehicle is required for accessing the mesa and navigating the few roads that allow recorders to drive to the top of the mesa and hike down to record. (Four-wheel-drive is helpful but not necessary.) Teams without such a vehicle are assigned areas accessed by climbing from the bottom of the mesa.